Throughout the holiday season, you can visit a wide variety of light displays and shows throughout the city. 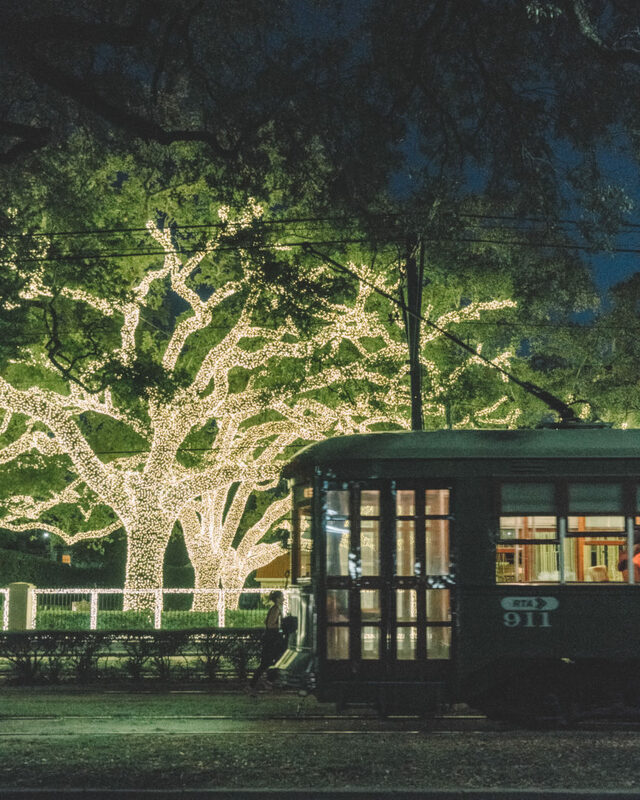 There is no better way to spread holiday cheer than admiring the twinkling lights and colorful displays in City Park, Audubon Zoo, Lafayette Square, hotel lobbies and beyond. Visitors are treated to a wide range of attractions, from light displays to walkways lined with dozens of Christmas trees decorated by local school groups. 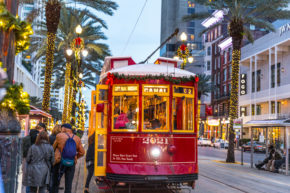 Perennial favorites include the animated “Cajun Night Before Christmas” display and the “Who Dat Tree,” imaginatively adorned in New Orleans Saints black and gold, and related football themes. Another favorite is New Orleans’ iconic snowman, Mr. Bingle, a holiday character beloved by generations of New Orleanians when he adorned the window of the old D.H. Holmes department store on Canal Street during the holiday season. Children and their parents are invited to take a two-mile ride on the miniature train that circles the park, passing underneath lit-up holiday displays and other special effects. Presented by the Children’s Hospital, The Audubon Zoo Lights showcase runs throughout each weekend of December. 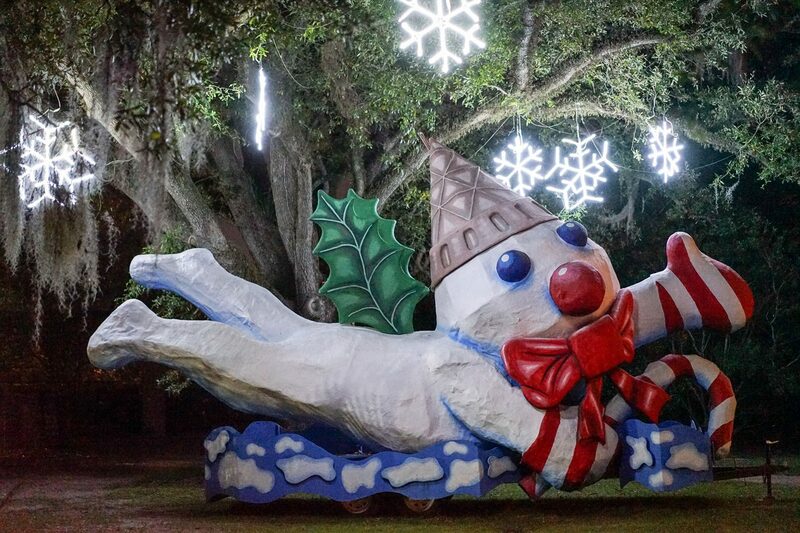 Guests can enjoy dazzling decorations and lights throughout the Audubon Zoo in the heart of Uptown New Orleans. Audubon Zoo Lights is a holidays ticketed event ideal for families with small children. Luna Fete is a one-of-a-kind light display in the Central Business District. The event takes over Lafayette Square with lights, art, and technology. Gallier Hall will be transformed with video projection-mapping, while the square and Fulton Street will have illuminated sculptures and light activations. More than 100,000 attendees have enjoyed Luna Fete in the past two years, and this year is especially unique as the show will honor the Tricentennial of New Orleans. 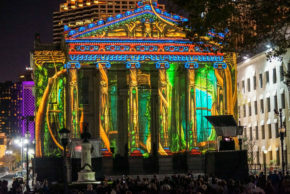 The projections on Gallier Hall will take place every hour on the hour from 6 p.m.-10 p.m. nightly. It is free, open to the public and fun for all ages! 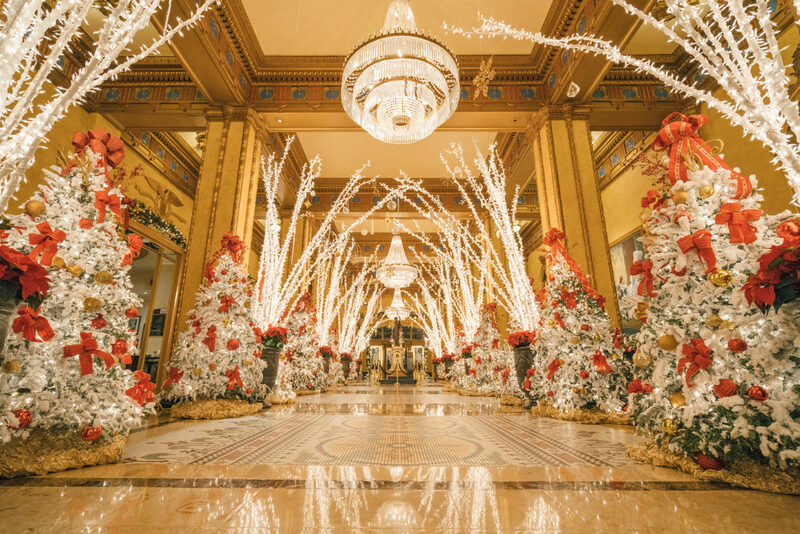 Many hotels in the French Quarter and CBD illuminate their lobbies with decorations– from lights and trees, to fake snow and Gingerbread Houses. Thousands of lights are used to transform these spaces into a holiday dreamland. Even if you are not staying at one of these hotel, it is worth a visit. 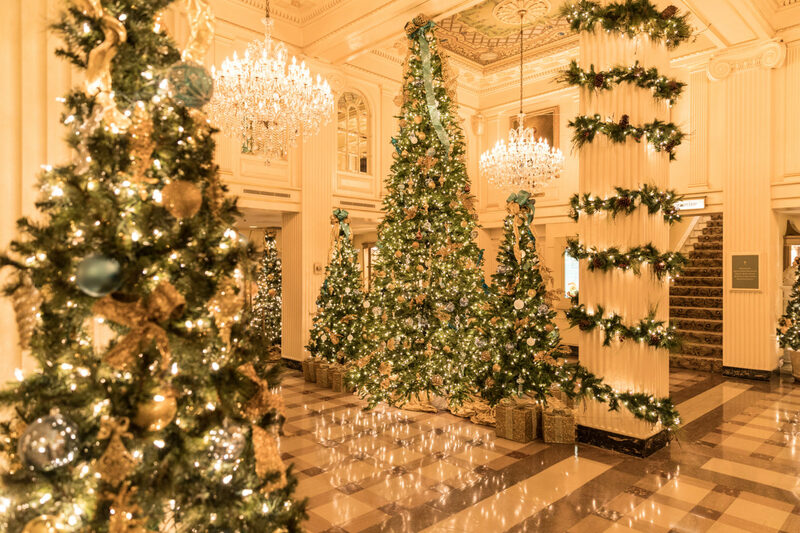 The Roosevelt includes a canopy of lights and an aisle of white Christmas trees, while the Ritz-Carlton has Santa’s toy shop. 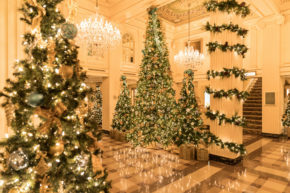 The Royal Sonesta has Christmas Tree Land, while the Windsor Court has one of the biggest trees in the city. Harrah’s Hotel has an outdoor light display and extravagant gingerbread houses replicating New Orleans buildings. 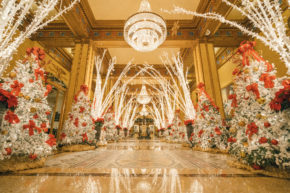 Both Hotel Monteleone and Le Pavillon have various traditional decorations. Many participating hotels also offer Holiday Tea and visits from Santa, as well. Driving around town, you will find holiday decorations everywhere. From the Christmas Tree Lighting in the French Market to lit up houses along St. Charles Avenue, New Orleans really puts on a show when it comes to dressing up for the holidays. 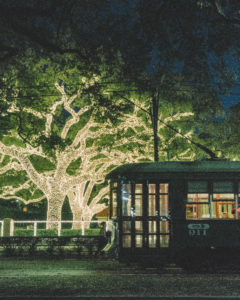 Take a streetcar ride when the sun goes down to see it for yourself.